Beware The Deep Dark Forest is on the Notables list! 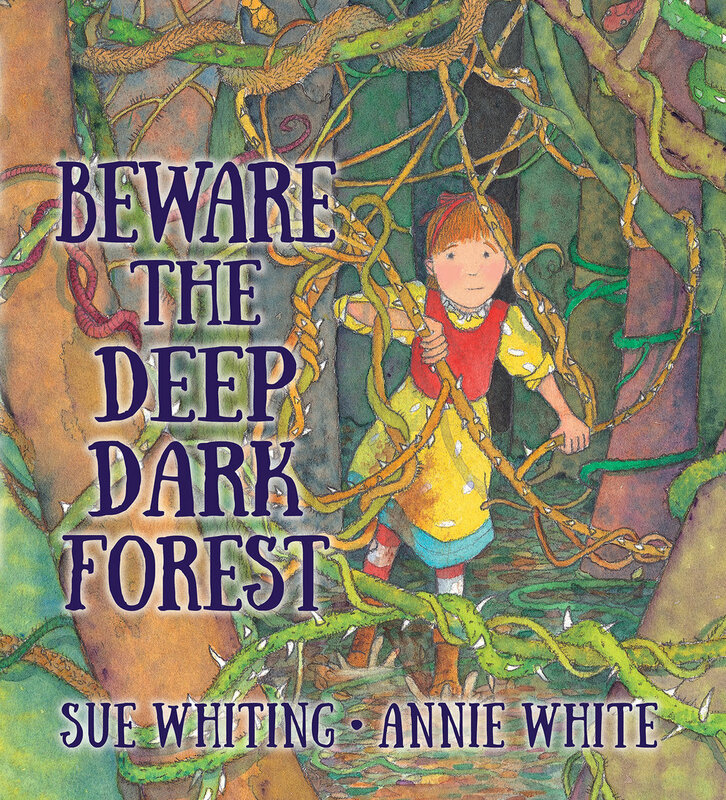 Sue and I are very excited Beware The Deep Dark Forest is on the Children’s Book Council of Australia’s Notables list in the Early Childhood category! (The Notables list is the long list of 20 books for each category). It’s such an honour to be chosen and our book is amongst some very good company. Here are some early drawings of Rosie before she was ready to venture into the Deep Dark Forest and before she rose to the dizzying heights of the Notables List. Watch out Rosie - it’s very muddy in the deep dark forest! Beware the deep, dark forest! When Rosie’s pup Tinky runs into the forest, Rosie decides to trek into this dangerous, muddy place to rescue him. But there are many obstacles along the way - including a huge grey wolf, a scary ravine and a ferocious troll. When I was reading through Sue’s story for the first time, I came across ‘carnivorous plants’ and ‘venomous snakes’ and I knew I was going to love illustrating Beware The Deep Dark Forest. There could be carnivorous plants and venomous snakes! What Should A horse Say? was published last month. Written by Fleur McDonald, who also wrote Noisy Nights, it is about Farmer Rochelle’s horse who is not saying what a horse should say. On the farm, there is a cow that says moo moo, a sheep that says baa baa, a chicken that says chick chick but the horse says chick chick too! What could be wrong with Farmer Rochelle’s horse? This is a playful farmyard story full of animal friends and the noises they make. Guess Who's Joined Annie White Illustration? Meet Daisy, who has recently joined Annie White Illustration. Here she is reading about Clementine's adventures. But I'm not quite sure which bit in the book inspired her to do this! On Wednesday morning I began to receive texts from mothers of young children... Clementine's Bath was being read on Play School! The episode was all about smell - one of the five senses - and it seems Clementine's Bath fitted into this theme perfectly. I'm so excited and Clementine is overjoyed - the bath was worth it after all. To see Clementine's Bath read on Play School click here.The story starts at about 7.5 minutes in and is available until October 13, 2017. Yesterday I had a break from work and went to see the Van Gogh exhibition. It was wonderful to stand in front of some of Vincent's well known paintings and enjoy their colour and movement, but I spent most of the time with his beautiful and simple drawings. And I learned that one of Vincent's favourite children's tales was the story of The Princess and the Pea. On Saturday 8 April I am having a stall at the Bayside Design and Maker's Market held in the grounds of the beautiful Billilla mansion in Brighton. The Market is open from 10am - 2pm. My illustrations are now on throw cushions, bags, journals, greeting cards and signed prints. There will also be framed original illustrations and small oil paintings. And of course there will be picture books ready to sign on request. If you're down this way, call in - I'd love to see you! Linda Condon, Jenny Esplin, Jan Harper, Zoe Hogg, Margaret Mulhall, Irina Rap and I are showing our work at The Angela Robarts Bird Gallery at Gasworks Park, 21 Graham Street, Albert Park. The Different Worlds Exhibition runs 8 to 20 November and is open 9am - 4pm daily. 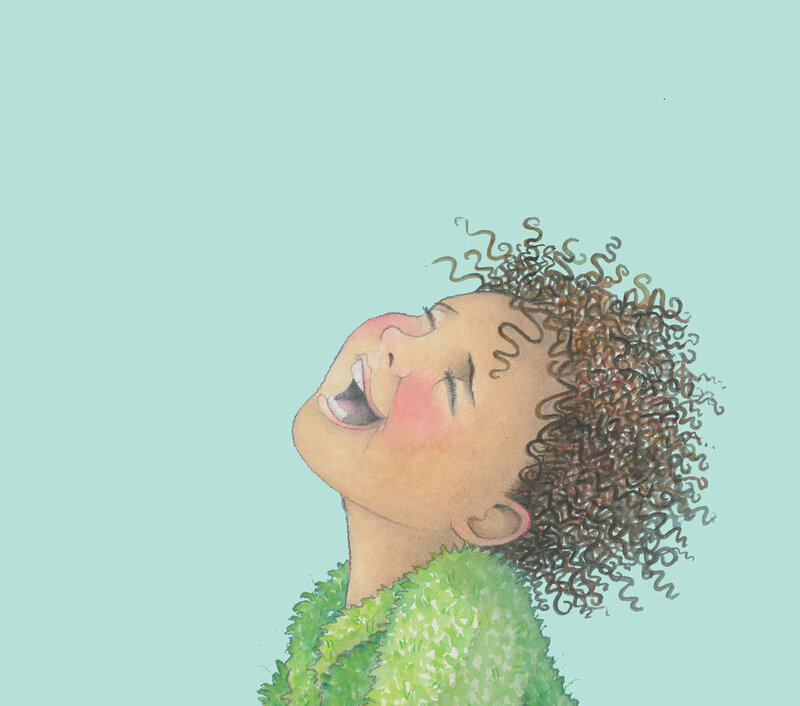 I'm pleased to say that my new picture book, Noisy Nights, has been published this month. Written by Fleur McDonald, the story is about Farmer Hayden who is trying to get to sleep. However, a farm is a noisy place to be at bedtime and he becomes more and more frustrated as he implores all the animals to be quiet. Chirp, bark, moo, maa, knicker, howl, whoosh, toot! You'll be glad to know that poor Farmer Hayden does fall asleep eventually but you will have to read the book to find out how this happens. ...but it was so NOISY outside his window. Well, The Painter, The Dreamer Exhibition has come to an end after a wonderful two weeks. Opening Night saw over one hundred people brave August in Melbourne to come and look at Liz's and my paintings hanging side by side at Steps Gallery. Every day brought different friends, friends-of-friends, family, patrons from the adjoining Artee Cafe and an amazing cross-section of passers-by into the Gallery. And there were so many conversations and stories! Liz sold one of her Greek paintings to a lovely couple who just wandered in from the street and were pleased to find an image that reminded them of the best holiday they'd ever had. I was thrilled to meet a lovely man called Sam who had trained under Patch Adams. Even more thrilled and very humbled when he bought Carnivale because it reminded him of the community work he does in places like India, Afghanistan and Indigenous Australian Communities. Thank you to everyone who supported us - we had the best time! If you weren't able to visit the exhibition, I have uploaded many of the paintings on to my Paintings page if you are interested in having a look. Loading up the trusty Fiat. I know these paintings will fit on the gallery walls but I'm not sure they'll all fit in the Fiat 500! Liz and I are hanging The Painter, The Dreamer Exhibition over the weekend. Our work will be showing at Steps Gallery in Lygon Street Carlton 1-14 August. The Speech Pathology Australia Book of the Year Awards aim to promote children's books as literacy tools, as well as raising awareness of the role that speech pathologists play in helping children develop language and literacy skills. I feel very honoured that Clementine's Bath has been shortlisted in these awards in the birth to 3 years category. As good as all the hugs. I'm sure that Millie -to whom this book is dedicated - would also have been very pleased. She always did like a bit of attention. and followed with a sniff. My friend, Liz Martyn and I are madly painting away for our exhibition in August. Liz studied Fine Art in Bristol, England and travelled to Australia in the 1970s. Drawing, painting, sculpture and theatre have been part of her life for many years. She paints in watercolour and oil, using pure colours with luminous intensity. Liz and I met up about ten years ago and have followed each other's work ever since. I'm looking forward to seeing our paintings up on the wall together. As part of the Queenscliff Literary Festival, held across five weekends in May, there is a special day for kids. Point Lonsdale PS hosted Kid's Day this year and gave us all a warm and friendly welcome. There were children from all around the Queenscliff area and I talked to a wonderful group of Kinder, Prep and Grade I students. We read some Clementine stories, talked about dogs, needing a bath, going on walks and all sorts of maps. Later on there was time for the children to make some very interesting and imaginative maps of their own. The Ugly Duckling is part of the Happily Ever After series, published by New Frontier. Alex Field has retold this classic tale of the ugly duckling and his search for his place in the world. After sadly realising his mother is disappointed in him and he is not as pretty as the other ducklings, the little ugly duckling ventures into the wider world and tries to fit in. His attempts at belonging do not go well until he comes across some baby swans and their graceful mother who explains that he too will become a beautiful swan. This is a lovely story for families everywhere, whatever their size, shape or idiosyncrasies may be. Nicola and I were very excited to hear that our book My Dad Is A Bear was shortlisted for the Prime Minister's Awards! The Awards ceremony was held at Carriageworks in Sydney. It was great fun and we met all sorts of interesting people including Ross Coulthart, whose book Charles Bean was joint winner in the Australian History Prize and David Metzenthen, whose book One Minute's Silence - beautifully illustrated by Michael Camilleri- won the Children's Fiction section. I'm looking forward to the launch of Clementine's Bath! It will be at Beaumaris Books on Wednesday 28th October at 4pm. In her last adventure, this scruffy but loveable dog was intent on rounding up her busy family for a walk. This time, in Clementine's Bath, she is trying desperately to avoid the bath her family is insisting she needs. Clementine hides under the bed, behind the curtains and in Baby's toy box but somehow her family always seem to know where she is. Preliminary drawing for Clementine's Bath.